Nearly half a trillion dollars. That's how much money migrant workers send back to their home countries each year, according to a new report by a United Nations agency. Global remittances were worth more than $445 billion in 2016, representing an increase of 51% over the past decade, the UN International Fund for Agricultural Development (IFAD) said. That total is expected to rise by another $5 billion this year, when IFAD predicts one in seven people globally will either send or receive money earned abroad. 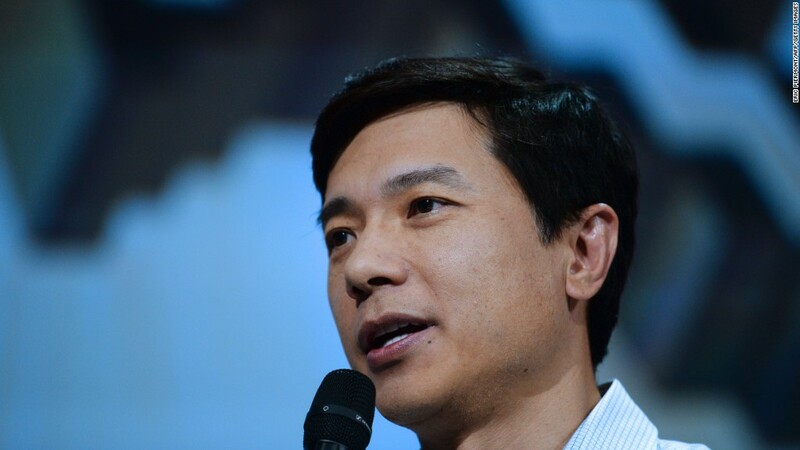 Around 200 million migrant workers currently support 800 million family members back home, the report said. "The small amounts of $200 or $300 that each migrant sends home make up about 60% of the family's household income, and this makes an enormous difference in their lives and the communities in which they live," IFAD President Gilbert Houngbo said in a statement. 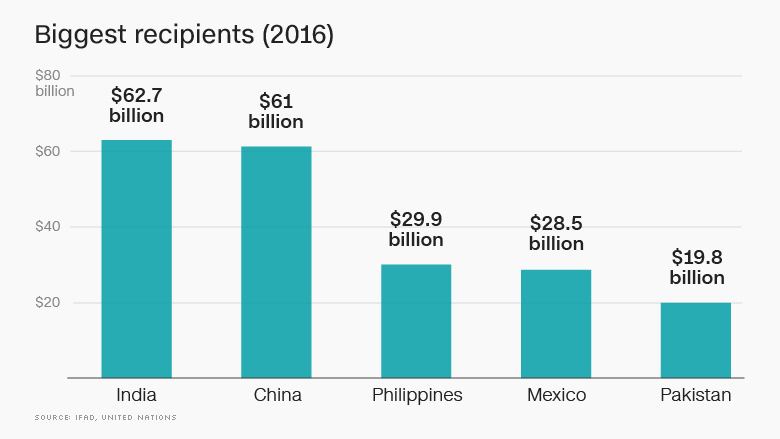 India is the biggest beneficiary of overseas remittances, receiving $63 billion in total last year. The South Asian nation overtook its neighbor, China, which had previously held the top spot. China received $38.5 billion to India's $37.2 billion in 2007, but Chinese workers sent back $2 billion less in 2016. But receipts from India's diaspora of 30 million play a relatively small role in its booming economy. The vast sums of money sent back by overseas workers equate to only about 3% of gross domestic product. Some developing countries are much more dependent on migrant money. 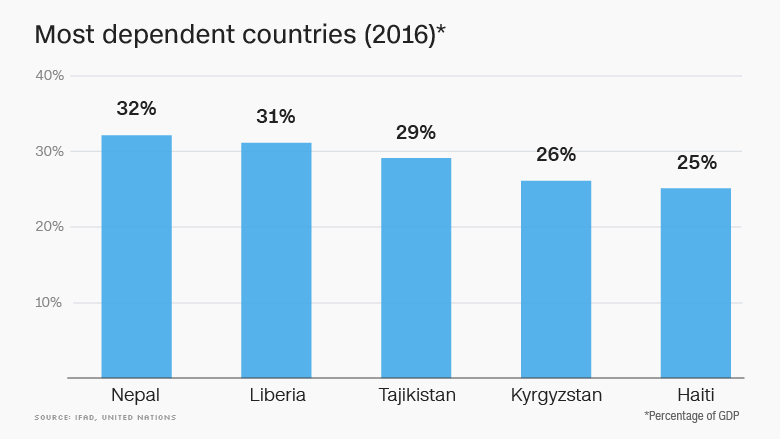 Nepal, India's tiny landlocked northern neighbor, for example, receives the equivalent of 32% of GDP in remittances, followed closely by Liberia (31%), Tajikistan (29%) and Kyrgyzstan (26%). Migrant workers don't just provide vital support for families back home, they also help keep the economies of their adopted countries ticking over. About 85% of global migrant earnings -- an estimated $3 trillion per year -- remain in the host countries, the report said. Pedro de Vasconcelos, the report's lead author, said the demand for migrant labor in developed countries will likely keep growing as their populations continue to age. "Remittances can help the families of migrants build a more secure future," he said, "making migration for young people more of a choice than a necessity."